I hiked the CBT in August/September, which is “dry” season in the Central Andes of South America. It is also winter, however, due to the fact that the Cordillera Blanca is situated so close to the equator, temperature fluctuations are relatively minor throughout the year. Temperatures at around 4000 metres (13,123 ft), typically ranged between 20 ºC and -10ºC (dropping further at higher altitudes). 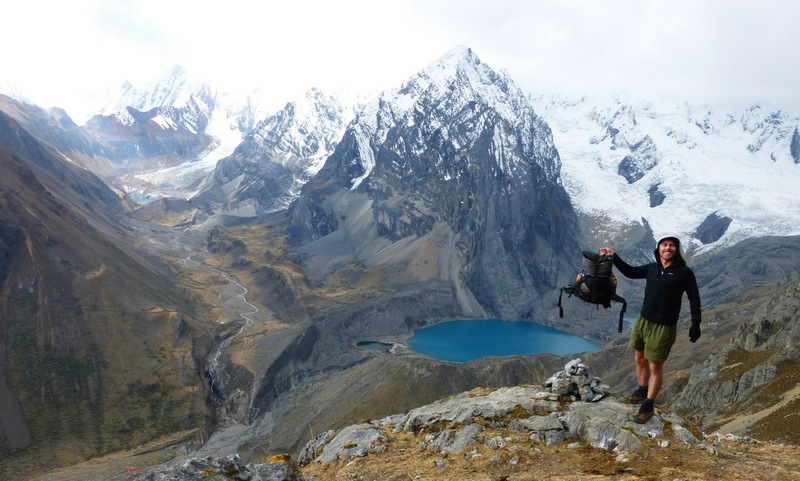 Despite the fact that it is technically considered to be dry season, in recent decades heavy rains, snowfalls and high winds are becoming increasingly common in the Cordillera Blanca between May and September. This is a fantastic resource. Thank you! I’m planning a solo, fast pack trip in May 2017 – you’re info is invaluable in planning for it. I see you were using the Pepsi can stove at altitude. Most folk comment it doesn’t work well. I only boil water, never cook. Did you use the Alcohol de Quemar bought in the supermarkets? I have the Trail Designs set up but was going to take the MSR Whisperlite using benzina Blanca but it’s so heavy… but reliable! I always warmed my fuel in my jacket pocket….. so you had no problems making a brew??? I suspect most folks that say that haven´t spent much time hiking at high elevations. I’ve used alcohol stoves at altitude for the past two decades (all through the Himalaya and Andes) , and although the burn time is a little slower, they have always worked; at least up until the highest points at which I have camped around 17-18,000ft. Yes, you can buy it in hardware stores and often pharmacies.